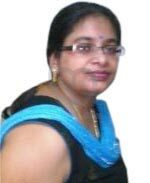 Dr Anupam Goel is a specialist in Infertility, IVF, IUI and ICSI. She is the Head of Department of Obstetrics And Gynaecologist Department at Landmark Hospital. Dr Anupam has done her MBBS and MD (Obs & Gynae) from the renowned Post Graduation Institute of Medical Education and Research Chandigarh before pursuing DNB from prestigious AIIMS New Delhi. Dr Anupam has super specialization in IVF & Infertility, Fetal Medicine, Gynae Oncology and Gynaecological Endoscopy with in depth interest in Laparoscopic Surgery, Gynaecology, Minimal Access Surgery, Obstetric Emergency, Obstetric Ultrasound, Obstetrics and Gynecology. ***Overall experience with doctor was very good since she is very calm and appreciates all type of questions. As she has a long experience, so technical skills are great. But my experience with Medhealth was not good, as i could not avail discounts as mentioned on website and even appointment part does not work well. Although this website is good portal to explore and study doctors around my living place.